From the creators of Dumpster 40+ Million downloads, is Cover! The first of its kind smart photo & video private vault and cleaner. Lock up your private photos in a highly-secured encrypted private gallery, but take your privacy a step further with cutting-edge, machine learning technology. If you’re looking for an untouchable private photo vault, look no further. With Cover, you can maintain privacy and hide or store photos, videos, and files. Cover automatically locks your photos and videos in an encrypted vault that you can password protect with a PIN or fingerprint authentication. Our unparalleled encrypted storage will ensure that whatever you decide to lock away is only seen by you and you alone. 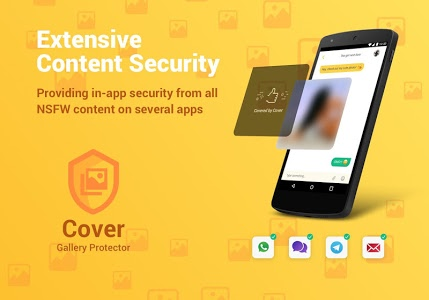 Cover’s AI will automatically scan your phone for inappropriate images & videos and secure them in an encrypted vault. 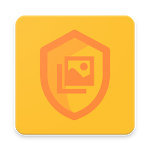 Real-time protection means that Cover automatically runs in the background and will hide potentially NSFW pictures in your secure gallery, keeping your phone “family friendly” and your pictures & videos locked away. Cover also elevates your privacy protection by blocking or “covering” inappropriate photos sent via Messenger, Whatsapp, Telegram, and more. It’s always on the lookout so you don’t have to. We strive to uphold and maintain your privacy everyday. Cover does not and will never upload any of your pictures, videos, or files to third-party servers or companies. We do not store any of your information either. You can have peace of mind that what’s on your device stays on your device. • Messaging Protection - Supported on Messenger, Telegram, Whatsapp, & more! Better safe than sorry. Download Cover today! All things above were based on your feedback. 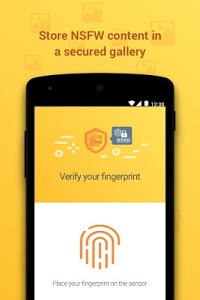 Similar to "Cover: Smart Private Photo & Video Vault"